Shi’loh  the scepter shall not depart from Ju’dah, nor a lawgiver from between his feet, until Shi’loh come, and unto him shall the gathering of the people be. Based on the benediction given by Jacob to his son Judah, the above verses are the basis for the widely held Christian belief that ‘Shiloh’ is the Messiah or the child and man predicted in Isaiah who will come to save humanity . According to the Jewish commentaries, Onkelos, Midrash Rabbah and Rashi, the name ‘Shiloh’ is a reference to the future Melekh HaMashiah, the ‘Sovereign Messiah’. This view is supported by the latter-day prophets of the Panacea Society. We therefore have ‘Shiloh’ — which could be equally validly be transcribed into English as ‘Shyluh’, ‘Shayluh’ or ‘Sheluh’ — very close to my surname, pronounced ‘Shayluh’. The world was created only on David‘s account. Samuel said: on Moses account; R Johanan said: for the sake of the Messiah. What is his [the Messiah’s] name? — The School of R Shila said: His name is Shiloh, for it is written, until Shiloh come. This gives us ‘David’ ‘M’ and ‘Shiloh’ in the context of a discussion of the Messiah and his name. (Again, it could be transcribed as ‘Shyluh’ or ‘Sheluh’). David here cannot refer to King David as he has been and gone and the world is still here. (The same argument applies to Moses). So who is the ‘David’ on whose account this world was created? The meaning of the statement becomes clear in the context of the next line referring to the Messiah — the saviour for whom this universe was created. ‘What’s his name?’ could just as easily be translated as ‘What’s his surname?’ We therefore have ‘David’, ‘M’, ‘Shyluh’ – using the alternative transliteration — together in a discussion of the purpose of the universe and the Messiah. The wealth of names associated with Messiah indicates the extent of ideas that surround him. These names include; Messiah ben Joseph, Messiah ben David, Messiah ben Ephraim, the Leprous Messiah, Head of Days, Son of Man, Tzemah (Shoot), Menachem (Comforter), Nehora (Light), Shalom (Peace), Tzaddik (Righteous), Adonai (Lord), Yinnon (Continued), Tzidqenu (Our Justice), Pele (Miracle), Yo’etz (Counselor), El (God), Gibbor (Hero), Avi ‘Ad Shalom (Eternal Father of Peace), Fragrance, David, Shiloh, Elijah. 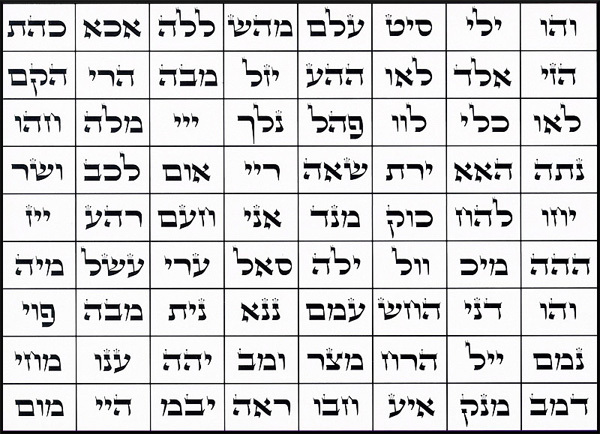 The likely source of ‘Shiloh’ can be found in the 72 3-letter Names of God. Encodings of ‘Shayler’ in anagram can be found in the multi-lettered Names of God – to which we are directed by the Christ of the Book of Revelation — and phonetically on the Rod of Aaron. The world was created only on David‘s account. Samuel said: on Moses account; R. Johanan said: for the sake of the Messiah. What is his [the Messiah’s] name? — The School of R. Shila said: His name is Shiloh, for it is written, until Shiloh come. As we have already discussed, the Talmud, the collection of Semitic holy wisdom and writings, gives us ‘David’ ‘M’ ‘Shila’ and ‘Shiloh’ in the context of a discussion of the Messiah’s name in the above passage. As already discussed Yashanet records that the Messiah will be known by a variety of names but only one recognised Christian name, David. The wealth of names associated with Messiah indicates the extent of ideas that surround him. These names include […] David, Shiloh, Elijah. In another discussion of the Messiah’s identity, Rabbi Tzadok quotes the great Hebrew teacher, the Baal Shem Tov, as linking ‘David’ with ‘Messiah’ or ‘Mashiah’, the more correct transliteration. It has already been referred to in the Zohar (1,25B), Ra’aya Mehemna (Pinhas 246B), and the Tikunim (21,52B) that [the name] Shiloh is numerically equal to [the name Moses] Moshe, for it is he who is Mashiah Ben David. 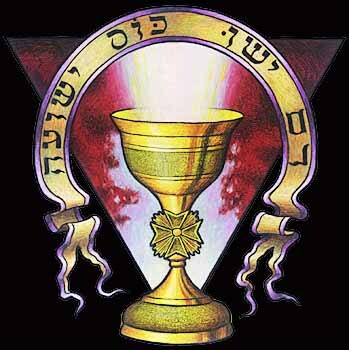 […] This is the explanation, Mashiah Ben David will merit the Neshama of the Neshama [the name of names or holy of holies], that which not even Moshe merited to receive. ‘Mashiah Ben David’ means ‘messiah of the line of David’. This obviously alerts us to the name ‘David’ in the context of the Chosen One. As many believe this is a bloodline, we have to ask why it refers back constantly to King David and not to any of the other patriarchs who would by extension belong to the same bloodline. It is clear that references to ‘David’ and the Messiah are designed to create an association in our minds as to the true first name of the Messiah. Of the increase of his government and peace there shall be no end, upon the throne of David, and upon his kingdom, to order it, and to establish it with judgment and with justice from henceforth even for ever. My initials ‘D’ and ‘M’ can be found at the centre of the table of the 72 3-letter Names of God, with ‘N’ as the remaining letter. ‘N’ In Hebrew stands for ‘fish’, a widely recognised symbol of Jesus Christ. Encodings of ‘Dave’ in anagram or ‘D M’ can be found in the multi-lettered Names of God and ‘David’ appears phonetically in the old Hebrew on the Rod of Aaron see below. The latter-day prophets of the Panacea Society also give the name ‘Michael’ to their Messiah, Shiloh. 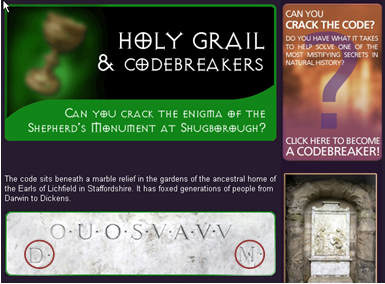 The initials ‘D M’ (ringed in red right) also appear on a variety of ancient monuments in the western world and on the Shepherd’s Monument at Shugborough House in Staffordshire, said to point to the location of the Holy Grail. If we take the Islamic greeting, ‘Inshallah’ and place it with the letters ‘D M’ found on many ancient tombs in the West, we get phonetically D M N Shallah close to D M ‘The Christ’ Shayler, when we understand that ‘N’ or ‘Nun’ in Hebrew means ‘the fish’, a widely understood symbol of Jesus Christ. In the Authorised King James version of the Bible, ‘Shiloh’ is rendered as ‘Shi’loh’, as if it records a missing letter. The English apostrophe looks exactly like the missing Hebrew yod.